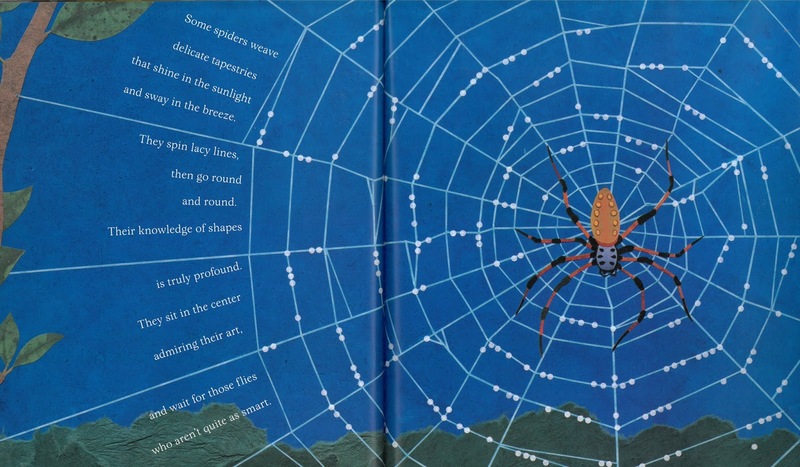 Kurious Kitty's Kurio Kabinet: Poetry Friday--Spiders! I had to laugh at Issa's haiku. We have a spider who keeps making a web outside our door. I got a faceful of web the other day and I didn't really feel like living peacefully together after that...but it seems a lot more determined than I am. We usually let spiders live. I've written a couple of spider poems myself--one is a mask poem and the other is a "things to do" poem. One of my favorites is Douglas Florian's "The Daddy Longlegs"--a poem of address--from his book INSECTLOPEDIA. 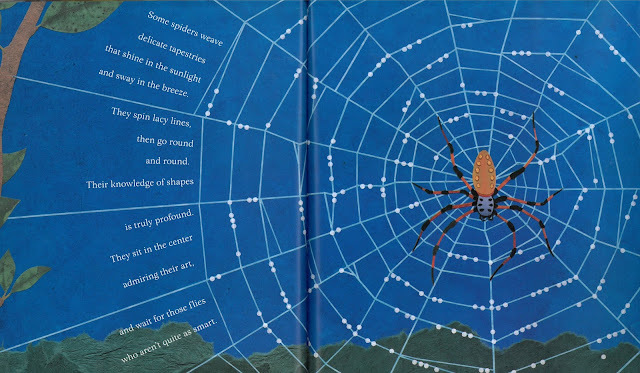 My elementary students LOVED that poem--and the book. We have Insectlopedia [J 811 FLO]! I'll have to dig it out again! Issa was a friend to all the little creatures. Diane, you have quite a collection of spider poetry. 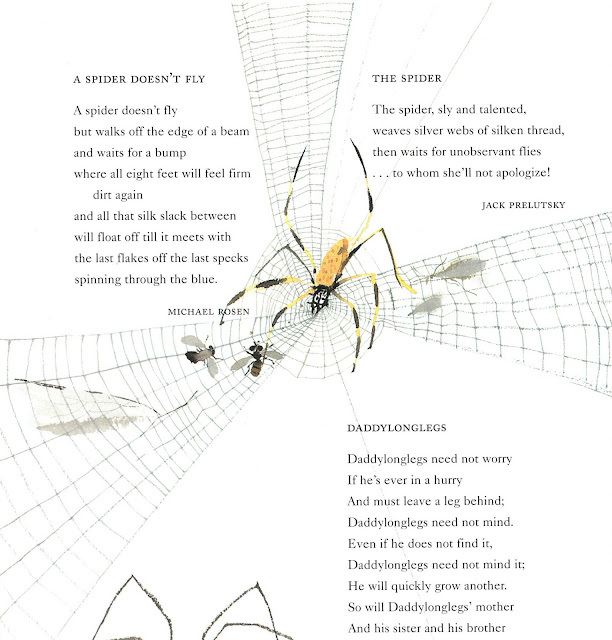 If I wasn't bitten by those critters hiding under my office desk and the bees that stung me, I might want to laugh at the DaddyLongLegs poem. Sadly, the scanner cut off the end of that poem, too! Okay, you know you're on to something when you can make even spiders seem friendly! I'm not a fan, but I can relate to Issa's haiku.